The Vocal/Choral/Opera programs at CSUF offer a variety of opportunities for singers and conductors at both the undergraduate (bachelor’s) and graduate (master’s) levels. Students receive a specialized yet comprehensive education while preparing for careers as performers, teachers and conductors. Classical Singer Magazine has recognized the Opera Theatre and vocal programs for excellence in training young singers for professional operatic careers. Private lessons in voice are the core of each of the study programs and are solely taught by members of our well-respected faculty. The program also includes courses in vocal literature, vocal pedagogy, art song, opera literature and foreign-language diction. Students receive individual attention and perform frequently in recitals and master classes. Each fall CSUF Opera Theatre presents a program of opera excerpts and one-act operas designed to provide performance opportunities for our singers. Each spring semester, fully staged operatic productions with orchestra are mounted, which have included Elixir of Love, Candide, La Bohème, Street Scene, Magic Flute, Die Fledermaus, The Crucible, Le nozze di Figaro and Gianni Schicchi. Beyond the campus productions are offered at Leisure World in Orange County and other venues. Singers are also given the opportunity to participate in all aspects of opera production including staging, costumes, props, make-up, set design and lighting. CSUF boasts four outstanding choral ensembles: the University Singers, Concert Choir, Men's Chorus and Women's Choir, conducted by acclaimed faculty members. The ensembles regularly tour internationally, performing at numerous national and regional conventions and with major orchestras including the Pacific Symphony Orchestra, Boston Pops Orchestra, the Los Angeles Philharmonic Orchestra, and the Hollywood Bowl Orchestra. Choral conducting classes are available at the undergraduate level, with advanced conducting seminars and private lessons available at the graduate level. The graduate degree program in choral conducting provides an intensive experience designed to enhance conducting skill while increasing aptitude in scholarly practice. The Master of Music in Choral Conducting degree prepares students for advanced ventures in conducting and entrance into doctoral programs of study. Alumni of the M.M. in Choral Conducting are regularly accepted at conducting programs of note throughout the United States including the University of Southern California, University of Michigan, Cincinnati Conservatory of Music, Boston University, and the University of California, Los Angeles. Once you submit your pre-screening video, and you are approved, you will receive an email with instructions on how to sign up for a live audition. Two contrasting selections, one of which must be classical in style; the other may be classical, folk song or from the musical theater repertoire. Musical theater selections must be from the classic lyrical repertoire (i.e. music of Rodgers and Hammerstein, Lerner and Loewe, etc. 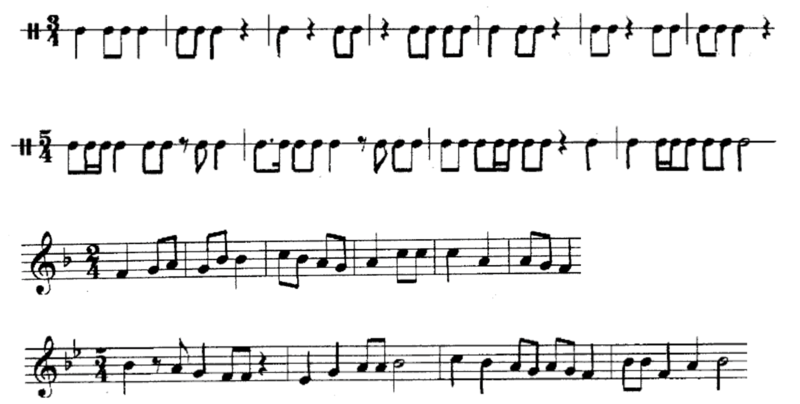 ), utilizing classical singing technique (no belting). At least one of your selections should be in English. You are encouraged to offer the other piece in Italian, Spanish, French, or German. Both selections must be memorized. An accompanist (and excellent sight reader) will be provided. You may bring your own accompanist if you wish. Be sure to bring sheet music! You will not be able to use accompaniment recordings. Audition location Clayes Performing Arts Center, East Lobby. See directions below. Parents meeting Each audition day includes an informational meeting for parents. This is normally held at 12:00pm in CPAC 257. Look for confirmation of this time and room in an email you will receive before the audition weekend. Your university admission Sign up for and complete your audition regardless of the status of your university application and admission. Even if you have been denied admission to the university, the School of Music may advocate that you be granted admission based on your musical talent. Directions and parking When you arrive at the CSUF campus , park in the Nutwood Parking Structure (NPS) (at Nutwood Ave. and State College Blvd. ), using either entrance 3 or 4. Parking is free. Walk toward the elevators and out onto the performing arts walk, and you will see signs directing you to the East Lobby of the Clayes Performing Arts Center (CPAC). CSUF music majors will be awaiting your arrival in the East Lobby outside our Recital Hall, and are there to assist you throughout the day. The Master of Music in Performance is an applied-based degree requiring 30 units of study in private lessons, ensembles, music history and literature, and music theory. The Cal State Fullerton School of Music faculty includes nationally and internationally recognized performers, scholars and composers. Students thrive in an environment that sustains challenging, vital music-making, with due regard for specialized individual attention. For those intending to pursue doctoral studies, the Master of Music degree normally leads to the DMA. The entering graduate student will have completed an undergraduate music degree with voice as the primary instrument. Prior solo recital experience is expected but not required; a “senior recital,” as well as a “junior recital” program from the applicant’s undergraduate study should be documented by a recording and program. Applicants must have completed undergraduate level language courses in at least two of three target languages (Italian, German, French), as well as the equivalent of three semesters of diction for singers (English, Italian, German, French). Opportunity is given to make up deficiencies but such courses cannot be applied to the Master’s degree. Entrance Auditions as well as Scholarship Auditions for the Master of Music in Performance degree are normally held in December and February (for Fall semester entrance). Auditions at other times may be arranged on an individual basis; however, this is unlikely to include scholarship consideration. Under certain circumstances, a video or audiotape may be used for preliminary assessments of ability; however, a live audition is always required. For the Vocal Area, a prospective student’s audition needs to take place by May 1. The Vocal Area faculty strongly encourage all applicants to submit any available copies of (unofficial) transcripts directly to the Vocal Area Coordinator (see below) BEFORE or at the scheduled audition date. Providing these materials in advance allows the applicant a more informative audition. Five (5) copies of an audition repertoire list. Two (2) sheet music copies of the audition selections. A copy of previous recital program(s). A copy of your transcripts (unofficial) from all prior schools. The repertoire offered should include a minimum of six (6) selections. ALL selections should be performed from memory. One (1) operatic aria in one of the target languages listed above. One (1) oratorio or second operatic aria in one of the languages listed above. At least one piece offered should demonstrate ability in singing a sustained, legato line. At least one piece offered should demonstrate ability in singing fioritura/coloratura. The graduate audition length is 30 minutes. This includes sight-reading of exercises for rhythm and melody. Solfege, letters, or numbers are acceptable for the purposes of this assessment. Any number of standard sight-singing texts would serve as resources for review and audition preparation. Arrange to have letters of recommendation from three music professionals familiar with your preparation for graduate study sent to the School of Music graduate program adviser. After being admitted, all entering graduate students take entrance exams in music history and music theory. The exams cover undergraduate level material and are given Thursday before the first week of classes.